January to September 2018: Ford and Volkswagen were the best-selling car marques in the UK with the Ford Fiesta Britain’s favorite car model. New passenger vehicle registrations in the UK contracted by 7.5% during the first nine months of 2018. Ford, Volkswagen, Vauxhall and Mercedes Benz remained the best-selling car marques in Britain with BMW moving ahead of Audi. 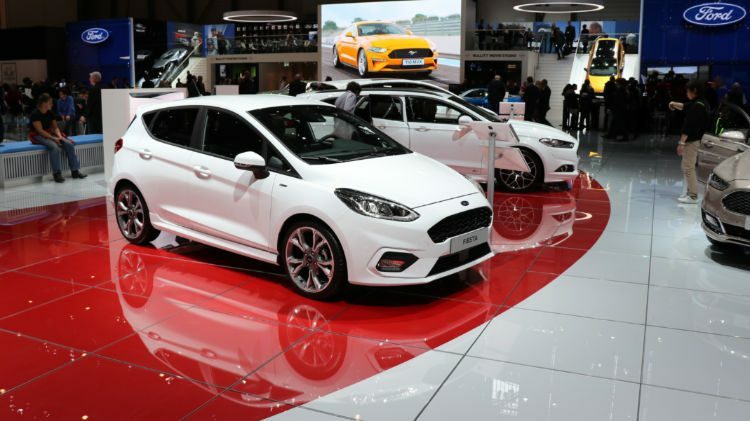 The Ford Fiesta, VW Golf and Vauxhall Corsa were the favorite car models of the British thus far in 2018. New passenger vehicle registrations in the United Kingdom contracted by 7.5% during the first three quarters of 2018. During the first nine months of 2018, a total of 1,910,820 cars were sold in the UK – the first time since 2014 that the total slipped below two million cars at the end of the third quarter. The move away from diesel cars continued in Britain. During the first nine months of 2018 (2017), diesels took a market share of 31.8% (42.8%), petrol’s share increased to 62.2% (52.7%) and alternative fuel to 6% (4.6%). The sales of purely electric cars increased by only 1.3% to 11,270 cars. The British new car market was weak all year with uncertainty over emission regulations adding further uncertainty to the market. A change to new fuel and emission rules in Europe from 1 September 2018 also led to many manufacturers being unable to supply cars. The British new car market contracted by 20% in September 2018 as a result – the rest of Europe was similarly affected with Germany slipping by a quarter in September 2018. The effect should balance out during the final quarter of 2018 with the British car market likely to end the year around 6% lower than in 2017. The largest carmakers in the UK during the first three quarters of 2018 remained Ford, Volkswagen, Vauxhall and Mercedes Benz. All four sold fewer cars than a year ago with Ford and Vauxhall strongly underperforming the broader market. BMW and Audi swapped positions with BMW at its highest position ever in the UK. BMW sales were only moderately lower while Audi sales in the UK were down by double-digit percentages. Toyota and Nissan also swapped rank positions. Toyota increased sales while Nissan sales were down by a third. Kia and Hyundai maintained their places from a year ago with higher sales. It was mostly lower sales for the rest of the top 20 brands with the notable exception of SEAT that increased sales in the UK by 14% to move from 17th to 14th. Fiat dropped out of the top 20 with sales down by a quarter. MG more than doubled sales from a year ago to enter the top-30 list at 28 from 33. DS slipped from 29th to 31st with sales down by 41%. The Ford Fiesta easily maintained its claim on being Britain’s favorite car. Although Fiesta sales were significantly higher than a year ago, unit sales are still below levels seen in 2016 and 2015. Despite availability problems in September, the VW Golf took second place at the expense of the Ford Focus that slipped down to fifth place. The Vauxhall Corsa moved to third from fifth. The Nissan Qashqai maintained its fourth place and the claim on being Britain’s favorite SUV. The Ford Focus slipped from second to fifth as the only top-ten car with lower sales in 2018 than in 2017. Focus sales were negatively influenced by availability after a model change. The Volkswagen Polo moved up one position while the Mini moved up to seventh from ninth and the Mercedes Benz A Class from tenth to ninth. The Ford Kuga and Kia Sportage are new entries on the top-ten list to increase the number of SUV models from only the Qashqai to three. The two models slipping out of the top-ten list of Britain’s best-selling car models were the Vauxhall Astra (from 6th) and the Mercedes Benz C Class (from 8th).